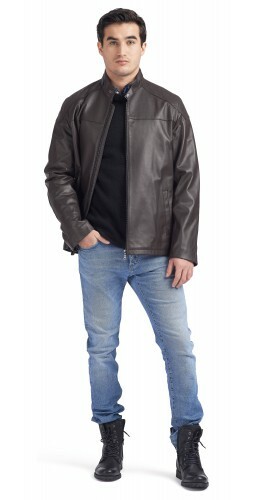 The Fernando Moto jacket is a classic mix of urban and defined confidence. It features Lambskin Veg leather, Mao collar with snap closure, quilted shoulders and zipper cuffs. Defined patch accents on sleeves.